A team of researchers with members from institutions in France and the U.S. has found a case of intimate partner violence being associated with higher marital fertility rates. In their paper published in the journal Nature Human Behavior, the researchers describe findings from their study of a group in the Amazon in which women who were abused tended to have more offspring. 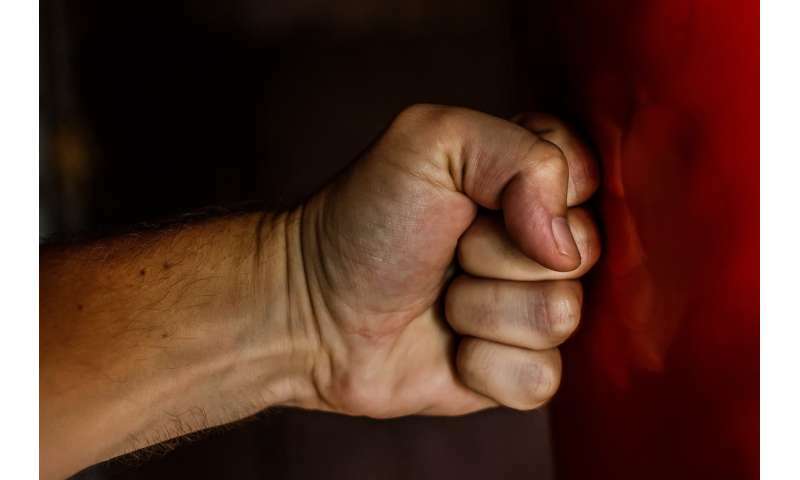 Scientists who study human behavior have sought to explain the reasons behind domestic violence to help put a stop to it—but thus far, such efforts have not appeared to have had much of an impact. Domestic violence is rampant throughout the world, causing pain, anguish and sometimes death to the victims. The majority of cases involve a male or multiple males carrying out violent acts against women and/or children. To learn more about the nature of such behavior, the researchers studied a group of people living in Bolivia, known as the Tsimane. Prior research has shown that they are not a violent group, but as in virtually every other cluster of people on Earth, many of the men physically abuse the women who live with them. 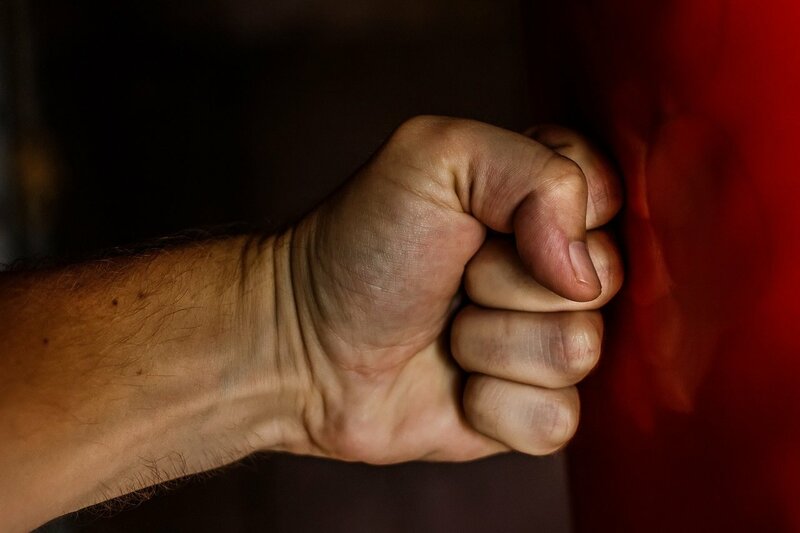 The researchers found that approximately 85 percent of the women across five villages reported being victims of violent abuse by their spouse. They also found that the women who were abused tended to have more children than did women who were not abused. They note that this finding does not, however, suggest that evolution favors intimate partner violence. For example, there may be severe repercussions for abusers, and abuse might be more prevalent today than in the past due to the growing availability of refined alcohol. The researchers also found that the abused women were more likely to give birth in the year following their abuse—and that their results held regardless of whether they were comparing all women, or if they looked at the same women over multiple partnerships. This included cases where one spouse may have been abusive but subsequent partners were not. The researchers also note that male members of the group quite often wanted to have more children than the women. The researchers acknowledge that their study was limited—only 105 women were interviewed. They note also that the accounts given by the women were from events that occurred in the past, which prior research has shown can be unreliable. They suggest more work needs to be done to learn more about the broader cultural context of partner violence, gender inequality and relationship dynamics, and the impact of increased fertility rates on domestic violence. Ultimate and proximate explanations of men's physical intimate partner violence (IPV) against women have been proposed. An ultimate explanation posits that IPV is used to achieve a selfish fitness-relevant outcome, and predicts that IPV is associated with greater marital fertility. Proximate IPV explanations contain either complementary strategic components (for example, men's desire for partner control), non-strategic components (for example, men's self-regulatory failure), or both strategic and non-strategic components involving social learning. Consistent with an expectation from an ultimate IPV explanation, we find that IPV predicts greater marital fertility among Tsimané forager-horticulturalists of Bolivia (n = 133 marriages, 105 women). This result is robust to using between- versus within-subject comparisons, and considering secular changes, reverse causality, recall bias and other factors (for example, women's preference for high-status men who may be more aggressive than lower-status men). Consistent with a complementary expectation from a strategic proximate IPV explanation, greater IPV rate is associated with men's attitudes favouring intersexual control. Neither men's propensity for intrasexual physical aggression, nor men's or women's childhood exposure to family violence predict IPV rate. Our results suggest a psychological and behavioural mechanism through which men exert direct influence over marital fertility, which may manifest when spouses differ in preferred family sizes.